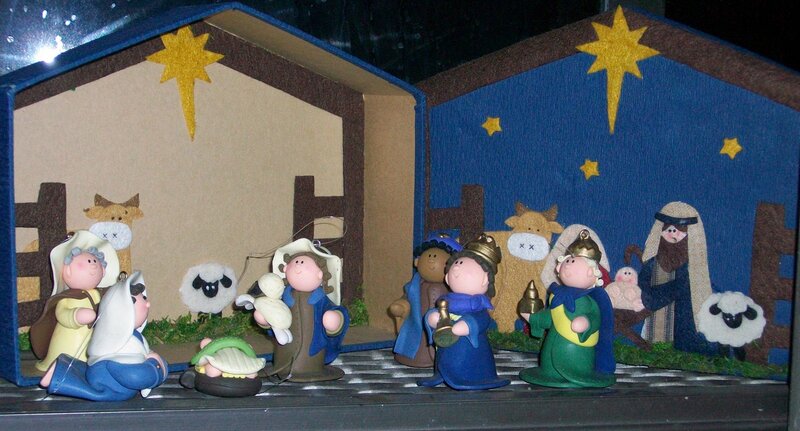 I promised pictures of my nativities so here you go. This one was a gift from Brian’s mom in 2006. All the characters in this one can be hung as Christmas ornaments, but I like to set them out. Aren’t they cute? This one was a Christmas gift from Brian in 2007. 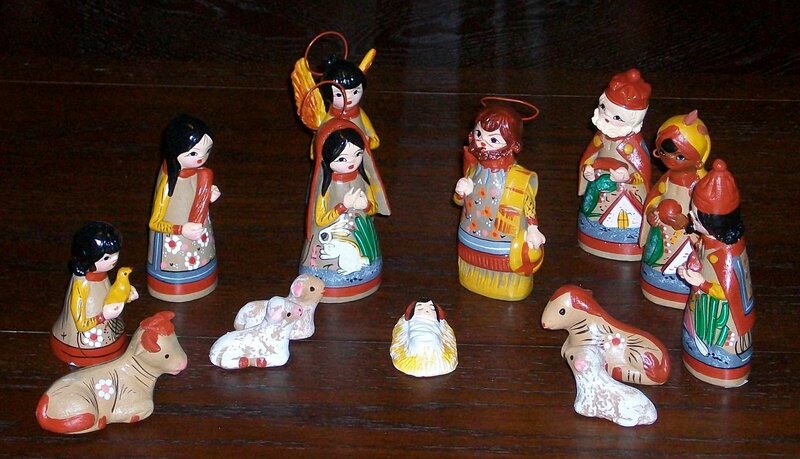 It’s probably the most traditional nativity set we have. Since it’s ceramic it’s also probably the most breakable, so I imagine it will keep its place on top of the bookcase for many years. 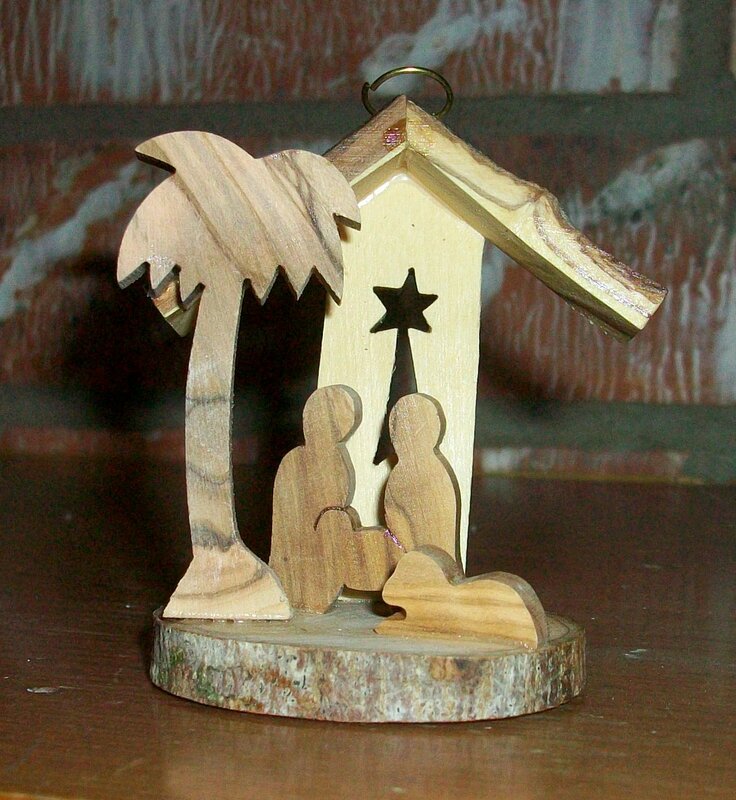 Interestingly, it’s also the only nativity I have where baby Jesus and the manger are two separate pieces. This one was a gift from Brian’s mom for Christmas in 2007. I don’t know how much you can see from the picture, but all the pieces are hand painted and the detail is GORGEOUS. I bought this one this year. I stopped by the stand to look at them every time I was at the mall so I finally bought one. Obviously this can also be hung as an ornament but we didn’t even put up the tree this year so it just got set out. Sorry about the glare on this one. Without the flash the pictures were blurry (and you could see my reflection which was a little weird.) This one was a gift from Brian’s mom this year, and it is magnetic (that’s our fridge creating that lovely glare.) I’m sure Kalena will enjoy playing with this one next year and I’m guessing it will be much loved (and abused) by little hands in the years to come. Another addition this year, the last one was a gift from Brian for Christmas. 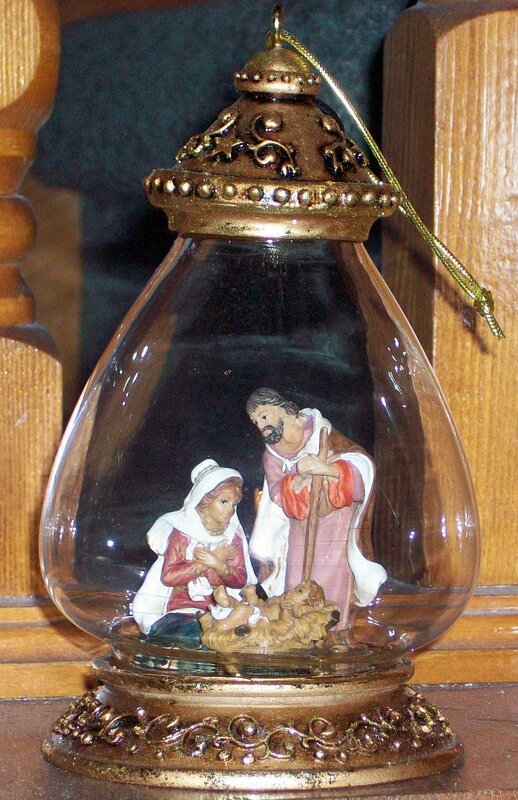 Maybe I need a nativity tree with all these nativity ornaments? 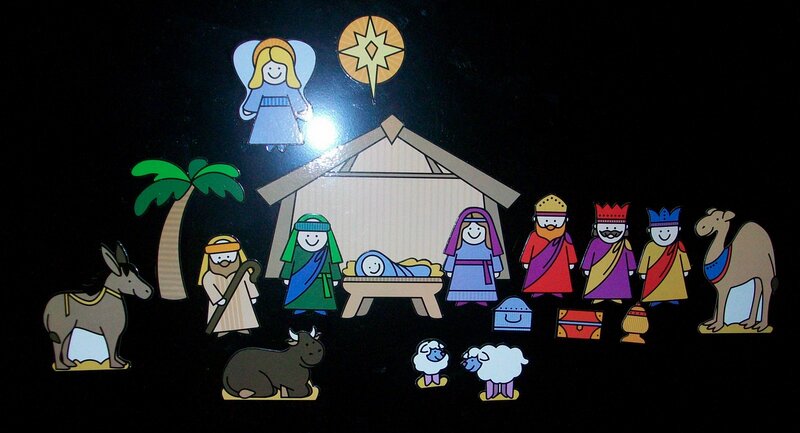 Anyway, I love nativities. Obviously. I know everyone has their own favorite decoration, so tell me yours! 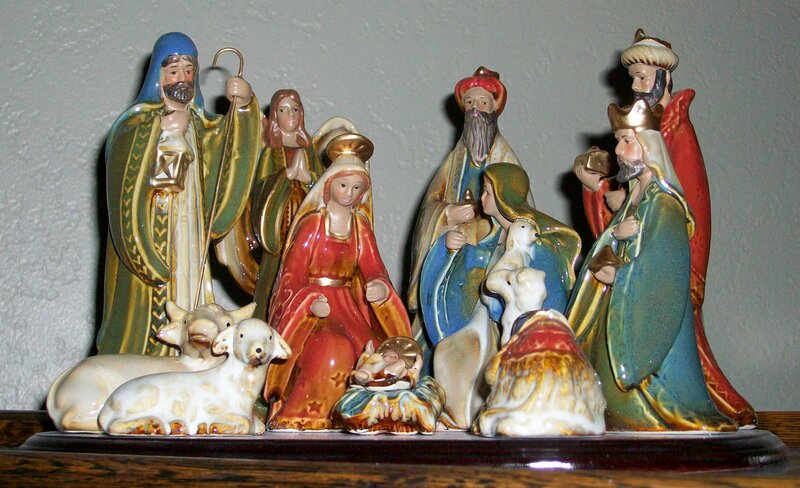 I got mine at Hallmark, but you can get them online at bigskycarvers.com under the Big Sky Christmas link. They have one that’s bears that I want too.